Acting as an essential part of foreign relations, Embassies play a crucial role in today’s society. The interior should be welcoming yet elegant. The architecture and interior design of any building which acts as a contact point between nations must appropriately represent this importance. This also extends to the furnishing within. El Palacio Damasceno work with interior designers by providing authentic Syrian furniture, often to bespoke specifications. Whether the project at hand is modern, minimalistic, contemporary or even Feng Shui, we have the perfect Syrian furniture to complement the theme. These stack tables is made from genuine walnut wood. 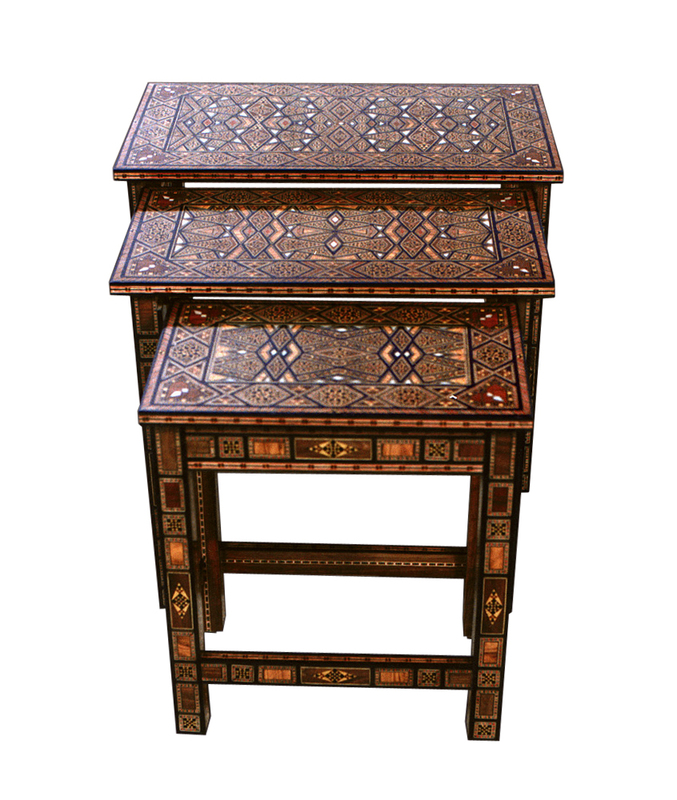 To make the table more elegant, designers have employed Arabic design inspirations that use different geometric patterns along with stunning mother of pearl inlay and mosaic to enhance the beauty of the wood. The tables are low maintenance yet elegant. The ALQUOZ offers both functionality and style. 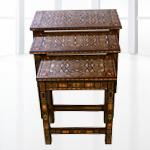 Crafted using the finest walnut wood and adorned with Syrian mother of pearl inlay. If you are looking for one of a kind elegant Syrian chairs the ALQUOZ chair is the perfect solution and will have your guests suitably impressed with your furniture choice. 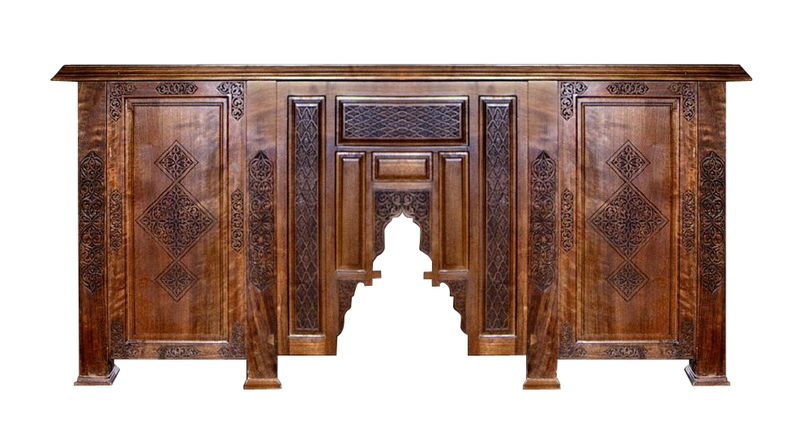 Inspired by exquisite and stylish Middle Eastern style, the Giahama is the missing crown in your drawing room. The handsome walnut wood structure combines with elaborate Syrian mother of pearl engravings to bring out the jeweled look of the entire sofa. The cushions provide comfort with washable and changeable upholstery adding to the many features of the sofa. This office table is made entirely from pure walnut wood. The intricate design makes this simple structure exquisite. 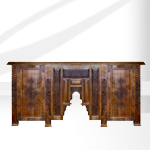 The entire wood is covered with simple yet elegant design patterns that are carved effortlessly by hand. The table offers space and can easily hold many things at a time.